Hair treatment is super essential and much needed all the time or on daily basis since today’s era where it carries lots of options for hair care also carries pollution and dirt, etc. which ultimately happen to be dangerous for our hair. This, you need to be extra cautious for your tresses to be healthy, shiny and strong. There is no need to go to salons or beauticians for your hair’s treatments, when you may do all this at home at your own time. Homemade treatments are done with the ingredients found in your kitchen. They are as much effective as a salon or beautician’s is. Besides, it costs you quite less. Read below the best homemade hair treatments and make the recipes to work on your hair to look strong, healthy and shiny. Now enjoy reading the best treatments for your hair which you can do with ease at your own pace and comfort. Carefully apply these and get the perfect and wonderful results. These two items are the most essential things in your kitchen and you may find them all the time with you. They both make your hair shine and ritzy. Take a lemon or vinegar and mix it with water and then apply the mixture to your hair after shampooing. Baking soda too is quite useful for your hair treatment. If you are really sincere with your hair care and want best treatment, baking soda’s use is very useful. Mix a small amount of baking soda into the shampoo and then apply while you take bath or wash your hair. This will remove the dirt and excess grease from your tresses. Well, these items are too are easily found in your home. Take all of them and blend all of them together. Apply the mixture to your hair. This treatment is best for frizzy hair. Leave this mixture on your tresses for around 20 minutes or so and then rinse the hair. Get a real shiny look and healthy hair after you wash your hair. Hot oil treatment is brilliant for hair care. You can make it by your own. In order to deeply condition your tresses, you may use a homemade hot oil remedy and it should be used at least twice a month to get actual desired results. Take warm soybean and olive oil and place on your hair. Then leave it on your hair for 10 to 15 minutes after that shampoo your hair. Now see the results. Eggs are brilliant for your health and they also happen to be brawny for your hair treatment. Eggs’ usage provides the hair protein, which is needed and vital for the health of hair. 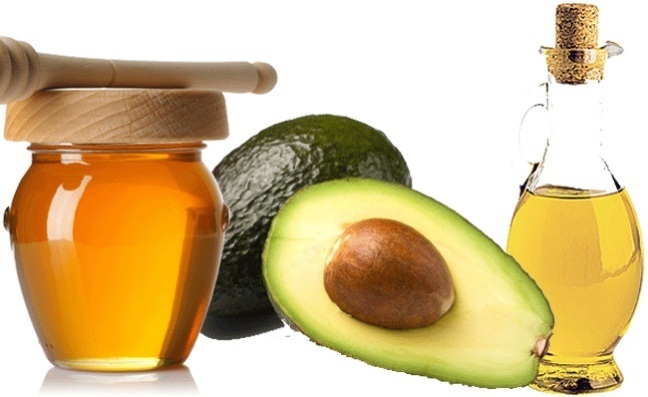 You may add honey into egg and make a mixture and then apply it on your hair. Leave it for some time and then wash the hair. This way, you will get healthy and shiny hair apart from having a good hair growth. Above are the best homemade hair treatments, which will be really helpful for you to get healthy hair.